Think that you've got what it takes to be a true Lennon fan? Take this quiz to find out! If the word imagine makes you think of John immediatly- add 2 pts. If you know what time John was born (off the top of your head)- add 10 pts. If you have read Lennon: The Definitive Biography from cover to cover- add 20 pts. If you buy every newspaper or magazine that says even one word about John or his family- add 5 pts. If you think John's drawings are real art- add 2 pts. If you can accept Yoko- add 40 pts. If you can't- minus 40 pts. If you think that Julian and John look identical- add 10 pts. If you have been to Strawberry Fields- add 5 pts. If you left flowers, letters, or candles- add 2 pts. If you left all 3- add 5 pts. If you think Sean's "Into the Sun" album was excellent- minus 10 pts. If you own a Lennon cap, Beatle boots, or Lennon shades and wear them- add 10 pts. If you've worn all 3 at the same time- add 5 pts. If you write fan fiction, poetry, or songs wishing that Lennon was still alive- add 5 pts. If you cry when 8 December rolls around- add 20 pts. If you refer to John's killer as "HIM"- add 20 pts. If you get scared when you drive through Attica, New York- add 5 pts. If you believe Yoko broke up the Beatles- minus 20 pts. If you adore Cynthia- add 5 pts. If you want to or already have a child named John, Yoko, Cynthia, Julian, Sean, Julia, Lennon, Ono, Winston, Alfred, Mary/Mimi, George, or Kyoko- add 5 pts. If you are certain the the perfect duo was Lennon/McCartney- add 2 pts. If you have a user name that has to do with John- add 5 pts. When someone says "power to the people", you reply with "right on! "- add 2 pts. If you know what bagism is- add 10 pts. If you have protested with a bed in- add 20 pts. If you have your hair in a Lennon style- add 5 pts. If John inspired you to learn guitar- add 20 pts. If you enjoyed the quiz- add 2 pts. If you have never heard "Imagine"- minus 300 pts. 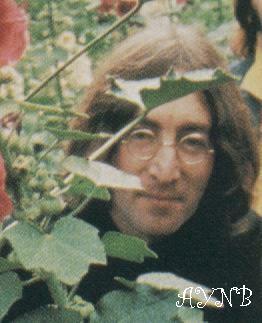 100+ pts.- "The only way we can better John is by copying him exactly"-Yoko...You're on your way! Scored a 100 ? Take this banner and display it!